Hi All, and apologies for the unexpected hiatus. Would you believe we’ve been a little busy! Supporting David Acland’s efforts at the amazing MacADUK conference has made me realise that there’s still things I’ve picked up after the last few months that may well help other Mac Admins out there, so I’m back to blogging a bit more regularly (hopefully). 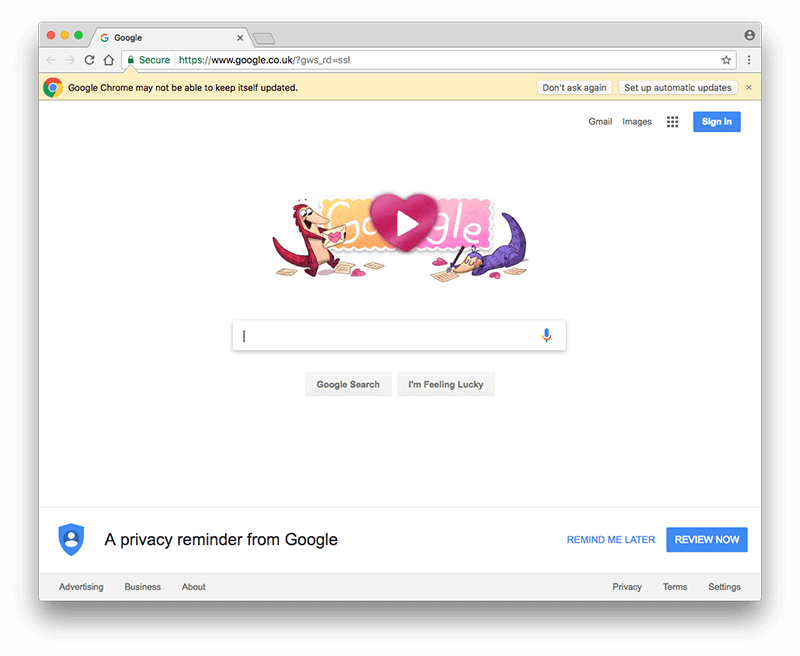 This blog was inspired by a conversation on the Mac Admins Slack instance about managing Google Chrome settings using a profile. Some of you may have read my last efforts which indeed did work, but always felt like a bit of bodge. Additionally, some of you may be aware of what might (and I stress, might) be coming up with the next few OS releases (read a few thoughts here) I thought it’d be a good idea to explore replacing my script with a configuration profile. The result is this blog. Using the example Google Chrome configurations profiles provided, I managed to build one that (I felt) manages all the same settings as my previously deployed script. I’ve uploaded a copy to our public configuration profiles hosted on GitHub, with a link here. Simply change lines 42 and 47 to the homepage you wish and it’s all yours! 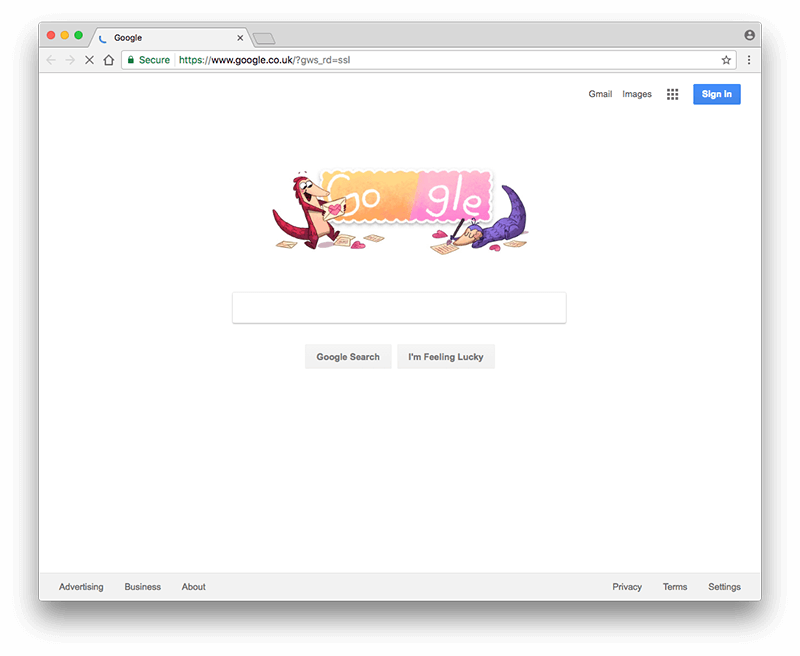 So, I’ve spun up a test VM (macOS Sierra 10.12.2 – I had it laying around) and installed Google Chrome (v56.0.2924.87 for those playing along at home) and launched Google Chrome for the first time. 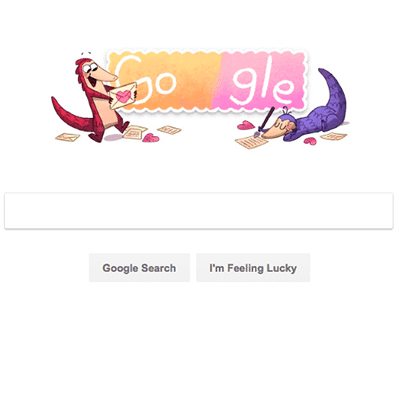 Hmmm, not bad, just a little message about using the address bar as a search bar and it disappears after a few seconds. I can live with it. Otherwise, it’s a perfect result! Now let’s test a bit more, VLC has a history of showing new popups after a second launch. 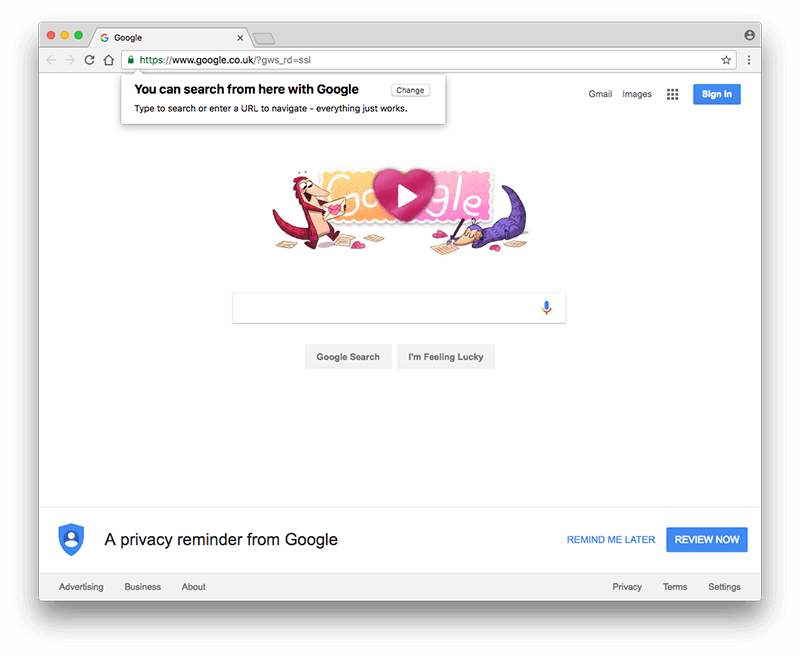 Damn, I now get a popup about Chrome not being able to auto-update itself, and this keeps coming back after every launch. I’ve clicked the “Don’t ask again” message and it does indeed go away. After further discussions in Slack, specifically with Nick McSpadden, this is known in the technical world as ‘A Thing’ and needs to be just dealt with outside of the Google supported method. After even more digging, I came across this Jamf Nation post from last summer and includes a script (can also now be found in our public script GitHub repo. This script registers the Google Chrome Application with the Google Keystone auto-update service and stops that annoying popup! But what if I don’t want Google Chrome to auto-update? A legitimate question, especially if your needs include a Dev -> Testing -> Live workflow for patches / updates. We disable the auto updates by the Keystone service using a profile (found here) and deploying this out to your devices. But what if I only want to set these settings (e.g. the Home Page) once? I have tested deploying this profile using the ‘SetOnce’ key, which for most use cases would make a setting configured initially, but allow the user to change it. I’m afraid that the profile settings were completely ignored by Chrome. Your best bet in this scenario is to stick to my scripted method, or your current solution. What do you need to get things up and running? And there you go, another possible method to manage your Google Chrome deployments, and hopefully one that is a bit more future proof! Thanks for reading through the blog, and I’ll be posting more randomness soon! As always, if you have any questions, queries or comments, let us know below (or @daz_wallace on Mac Admins Slack) and I’ll try to respond to and delve into as many as I can. While the author has taken care to provide our readers with accurate information, please use your discretion before acting upon information based on the blog post. Amsys will not compensate you in any way whatsoever if you ever happen to suffer a loss/inconvenience/damage because of/while making use of information in this blog. 5 Replies to "Chrome first run messages revisited – with added profiles"
Darren, a huge thank you for sharing this! It has simplified our deployment greatly! Thanks for your comment. I’m glad you got something useful from the post ???? Hi Darren! Thank you for sharing this. Apr 26 2017 16:58:44 +0300 ERROR: Running postinstall_script for GoogleChrome failed. Since 10.12.4 i cannot get rid off the update popup. Probably i do something wrong, but cant find what exactly. By ‘the script’ I’m assuming you mean the one I mentioned in a previous blog? If so, I’m afraid this won’t work as it’s meant to be run as the logged in user, and Munki runs as root. If you need it to work at login (and you’re not using Jamf Pro / Casper), I’d suggest looking at Outset for this task. If you’re referring to the ‘Enable AutoUpdates’ script, may I suggesting testing again with the original, found here? Oh sorry, my bad. I was talking about ‘Enable AutoUpdates’. Other tasks ( first run, default browser, bookmarks and etc ) we’ve successfully solved by Profile Manager and only one thing left – remove auto-updates popup window. Cause half of our users don’t have admin access and it might confuse them. Before we turned it on while building thick image. Thx i’ll try with original one.